CEN has just launched a new web resource on neuromyths! Neuromyths are common misconceptions about brain mechanisms, which are taken for granted in today’s society. Some of these myths have taken root amongst educators and have influenced educational techniques. 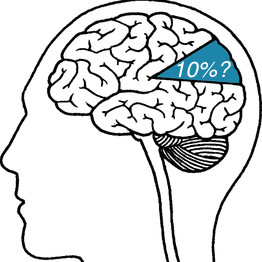 Some myths are wonderfully bizarre (we only use 10% of our brains!). Some myths have seeds of truth but have led to educational techniques without scientific grounding (e.g., the myth that left-brain=logic right-brain=emotion and creativity has a seed of truth in research on functional brain lateralisation). Other myths appeal to strong intuitions but the science is only assumed (girls and boys have different cognitive abilities). Entitled ‘Neuro-hit or neuro-myth?‘, we give up-to-date evaluations of a range of neuromyths, including links to recent scientific resources and articles. This resource was supported by a Wellcome Trust Institutional Strategic Support Fund Award. These are clear, helpful and authoritative. Are you planning more? I’d love to see you look at the idea that teenagers’ brains are different (see eg a piece in yesterday’s Huffington Post).